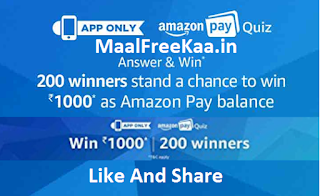 Amazon Pay Balance Get Worth Rs 1000 Free When you Play Amazon Pay Quiz Contest on Amazon App Answer Simple Question and win free Amazon Pay Balance Worth Rs 1000. Total 200 Lucky Winners if you answer all the quiz questions correctly, you will be entitled for a lucky draw which will be carried out amongst participants who have answered that particular question correctly. MaalFreeKaa.in No. 1 Online Contest and Free Sample Website. Providing you Best update about All Online Giveaway and Freebie deal you can play daily here and win freebie prizes. Play here all Holi Contest 2018 We are Try to Share all Holi Contest A total of 200 participants will be selected as winners of the Contest who answer all 5 questions correctly. 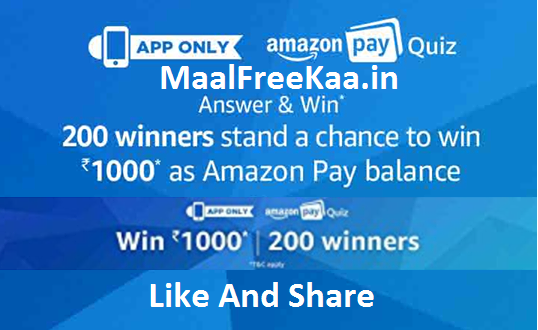 Play Now To Win Free Free Amazon Pay balance Worth Rs 1000. Play Now to contest win Pay Balance free. 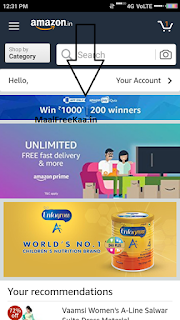 Quiz 1 : Amazon Pay balance can also be used to pay for movies, travel tickets, monthly utility bills, recharges and more in a single click on partnering apps & websites. Quiz 2 : Amazon Pay can be used to pay on several apps & websites. Which of the following do NOT accept Amazon Pay as a mode of payment? Quiz 3 : Which one of these are NOT a benefit of using Amazon Pay? Quiz 4 : While logging in to make a payment on any of the Amazon Pay partner sites and apps, what login credentials would you use? 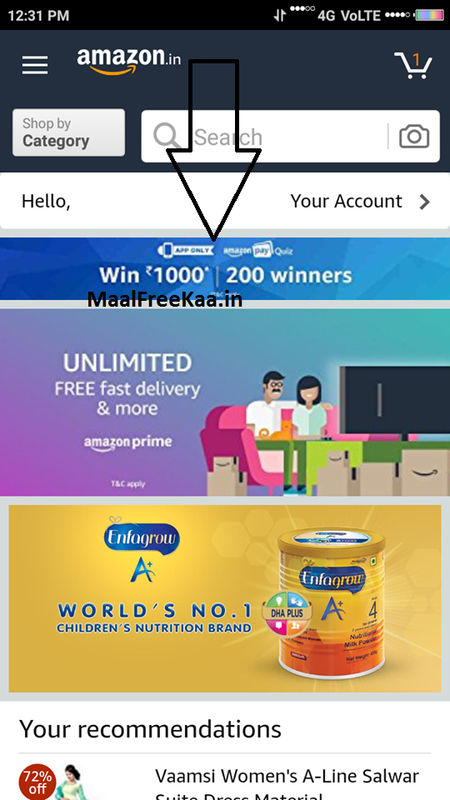 Quiz 5 : The cashback for Amazon Pay offers across partner apps & websites is received in the form of ? 2. Open Amazon And Click On Home Banner "Amazon Pay Quiz Time"